DiGiCo is pleased to announce the appointment of DWR Distribution PTY (Ltd) as its exclusive distributor for South Africa from April 2016. Founded in 2006, DWR has built an enviable reputation in the South African market for supplying predominantly lighting products. The company has grown rapidly adopting a wonderful work ethic with a motto of “it’s all about the people”, which ties in with DiGiCo’s own philosophy. DWR provide a complete service from concept through to installation and commissioning, but more importantly great after sales service, all from a highly motivated and experienced team. As a result, it has an impressive list of brands in its portfolio, to which it is proud to add DiGiCo. With this in mind, DWR is pleased to welcome Kyle Robson as the new audio technical representative. Having studied music and sound, as well as being factory trained at DiGiCo, Kyle worked as a sound technician and then in the capacity of technical support and audio training. He is young and passionate and DWR are delighted to have him on board. 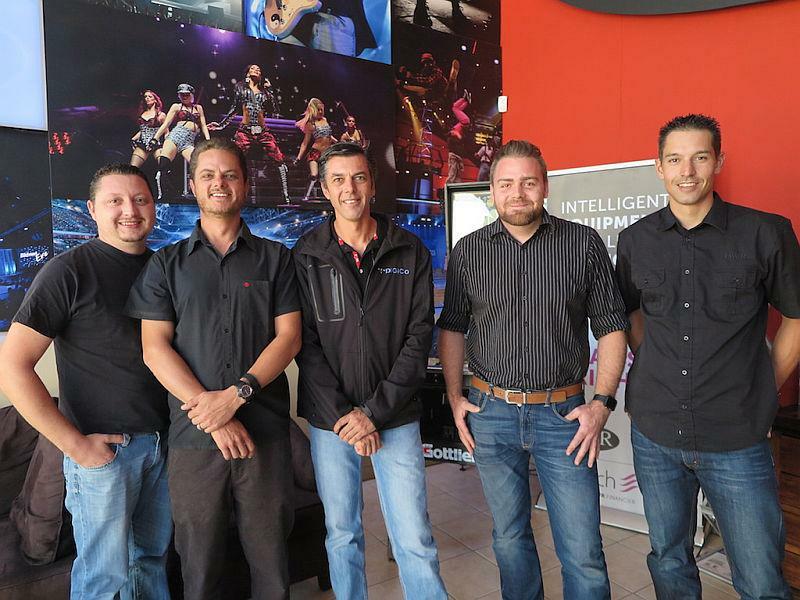 “After spending a hectic week in South Africa meeting with customers and many terrific potential new distributors, all of which would have made great partners for DiGiCo, I chose DWR”, says Ian Staddon VP of Sales for DiGiCo. “The company had a great vibe and good reputation in the market and whilst selecting a lighting company for DiGiCo may appear a bit “left field”, DWR know what it takes to supply, work and support consoles – albeit lighting ones! They have the same customers and address all our market areas and with the addition of Kyle to the team they have a DiGiCo expert on board. Additionally, the fact DWR do not offer a PA, means that they can be “neutral” when it comes to audio installation projects and can supply DiGiCo to other South African distributors of speakers without competing and can provide the customers an independent choice. DWR is due to host a DiGiCo open day as well as roadshows in the near future. Dates tba.